Oregon Pinot Noir Off To South Korea The Portland Business Journal (February 14, 2013) reported that a cadre of South Koreans visited Oregon wineries and bought 2,200 cases and have been shipped to Shinsegae, South Korea’s largest retailer, which operates supermarkets similar to Fred Meyer. The wines are from Domaine Drouhin Oregon, Lange Estate Winery & Vineyards, WillaKenzie Estate, and Union Wine Company. Wine consumption is increasing in South Korea and wine is the preferred alcoholic drink for women in Korea because it is perceived as healthy. This popularity of Oregon wine abroad comes as no surprise as latest figures show that United States wine exports are poised to set a record $1.4 billion in 2012. According to the Wine Institute, wine exports increased 2.6% for the third straight year. 90% of the exports are from California wine regions. Europe is the top market for California wines with Canada second. Sales in China zoomed 18% to $74 million, while South Korea had a 26% gain to $16 million. Many stateside wineries find it is easier to ship wine abroad than try to deal with the maze of individual state restrictions on shipping wine. For American Pinot Noir lovers the news is not necessarily good, as there will be more competition for top bottlings in the future. It is curious that American wineries are sending plenty of wine abroad when in this country there are still over 108 million people potential customers who are not drinking wine regularly. According to Andrew Jefford (Decanter.com, January 28, 2013), between 16 and 20 percent of United States citizens consume 90% to 96% of the wine. Wine Business.com (January 21, 2013) reports that the “core” drinkers account for 93 percent of the 175 million cases of wine sold off-premise in 2012. The largest number and most frequent buyers are Baby Boomers (ages 49 to 67) and Millenials (ages 19 to 36). Ekton is the Second Sub-AVA for Umpqua Valley Wines & Vines (February 14, 2013) reported that effective March 7, 2013, the new Ekton Oregon AVA has been approved. The AVA consists of 74,900 acres within the Umpqua Valley AVA and the larger Southern Oregon AVA, and is planted to only 96.5 acres of grapes currently. The new AVA is separated from the rest of the Umpqua Valley by a ridge of low-lying hills that contain the cold maritime air from the Pacific Ocean only 30 miles away, making this new AVA cooler than the rest of the Umpqua Valley. River’s Edge Winery and Brandborg Vineyard & Winery grow Pinot Noir in the new Ekton AVA. Others are exploring the possibilities for Pinot Noir is this relatively undeveloped region that has plantings dating back forty years. The other sub-AVA in the Umpqua Valley is Red Hill Douglas County Oregon AVA which was approved in 2005 ( one winery, 5,500 acres). Rollin Soles Leaves Argyle for ROCO The along time (since 1987) winemaker at Argyle Winery is leaving to concentrate on the label he established ten years ago with his wife Corby Stonebreaker-Soles. Soles’ assistant winemaker, Nate Klostermann, will take over for Soles at Argyle. 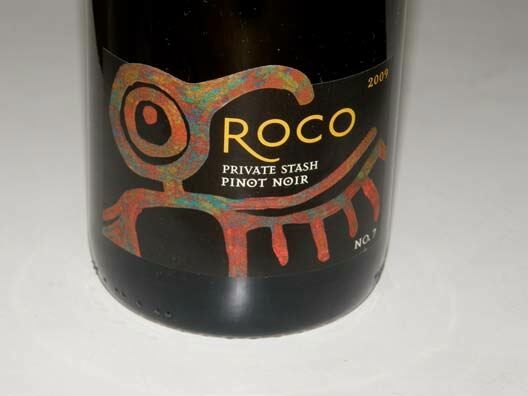 ROCO produced 4,000 cases in 2012 from both purchased fruit (a Willamette Valley and a Maresh Vineyard bottling) and estate fruit (“Private Stash” from the 7-acre Wit’s End Vineyard that the Soles own). The estate vineyard was planted in 2001. A tasting room is now open adjacent the winery on Red Hills Road in Dundee. No word on whether he will make sparkling wines, which were Oregon’s finest at Argyle. Presqu’ile Joins Wilson Daniels Presq’uile Winery has joined Wilson Daniels’ portfolio and will be the winery’s distributor beginning in 2013. Two generations of Murphys oversee this family winery, joined by winemaker Dieter Cronje and vineyard manager Jim Stollberg. Presqu’ile is creole for “almost an island,” named in honor of the Murphy’s beloved family gathering place located on the Gulf Coast that was destroyed by Hurricane Katrina. Presq’uile property includes 73 acres of certified sustainably farmed vineyards on 200 acres with a modern gravity-fed winery. Presq’uile currently produces Pinot Noir, Chardonnay, Syrah and Sauvignon Blanc. Heat During Shipping Shortens Potential Bottle Age A recent Purdue University study (“Effects of heat exposure on wine quality during transport and storage,” Journal of Wine Research, 23:1, 2012) monitored the exposure of wine to heat during shipments through the national distribution network from wineries. During the summer and early autumn months, wines shipped to or via warm geographic regions were often exposed to temperatures above 75ºF and frequently for extended periods of time. In some cases, wines would have been exposed to extreme temperatures of up to 111ºF. Also, frequent large diurnal variation (39ºF to 70ºF) were found. Using ethyl carbamate formation to determine accumulated heat exposure as a wine quality indicator and different kinetic models for wine aging, the researchers suggested that some wines exposed to heat during transport corresponded to an added bottle age of between 1 and 18 months compared with conventional cellar storage. Surf City Vintners Wine University Pinot Noir Appreciation Class On March 10, 2013, Joe Miller of Rexford Winery will present a class titled, “Santa Cruz Mountain Pinot Noir: On the World Stage.” Miller will explore the influence of location on the qualities and characteristics of Pinot Noir, discover why the Santa Cruz Mountains is among the world’s best regions for Pinot Noir, and sample local Pinot Noirs compared with a French Burgundy. Joe Miller taught UCSC Extension classes on wines of Burgundy for many years. Attendees will receive a “diploma” in Sip-ology from Surf City University. The class is $30. Register at the Surf City winery tasting rooms or call 408-234-2079. A Chardonnay class, “Chardonnay Styles,” with Steve Storrs of Storrs Winery will be held in April. The dozen boutique wineries and tasting rooms that make up the Surf City Vintners offer an urban wine tasting experience in renovated warehouses. Visit the website at www.surfcityvintners.com. Affairs of the Vine Pinot Noir Summit The 11th Annual Pinot Noir Summit will be held Saturday, March 16, 2013, at the Herbst at the Presidio in San Francisco. The 40 wines offered for blind judging by the public have been reviewed by at least two tasting panels, and the results are compared to those of a panel of experts in this year’s Pinot Noir Shootout. The Pinot Noirs hail from California, Oregon and beyond. The event includes workshops and a Grand Awards Tasting & Ceremony. Use discount code, “pinotfan,” for a discount on tickets before February 28. Visit www.brownpapertickets.com to view the event schedule and to purchase tickets. La Follette Wines at The Barlow Grand Opening The Barlow in Sebastopol, a marketplace that brings together winemakers, brewers, artisan food producers and artists, has finished construction and several of the winery tasting rooms will be holding Open Houses. La Follette Wines Grand Opening, the Pinot and Popcorn Terroir Tour, will be held March 16, 2013. Greg La Follette and assistant winemaker Simone Sequeria will be hosting three seated flights of tasting pairing La Follette wines with different flavors of popcorn while exploring the various vineyard sites in the La Follette portfolio. Greg will also serenade guests with his bagpipes. The seated sessions are complimentary but reservations are required. Contact Jana Churich at 707-395-3902x224 or jana@lafollettewines.com. The tasting room will be open from 11:00 to 6:00 that day to welcome all. Wine World iPhone App Catalan entrepreneurs launched the first iPhone app with worldwide information about wine. The app supplies information about 983 wine regions of 17 of the main producing countries, including information on every wine region such as its kind of grapes, types of wine, production, and shows the user the closest wine stores. World Wine contains a database of more than 29,000 wine cellars and stores from 61 countries. In updates to follow, World Wine will include assessment and opinions about different kinds of wines. The information is available offline as well. Offered by WasabiLabs at www.wasabilabls.eu. La Dolce Vita Wine Lounge This charming wine bar is located in downtown Petaluma across the street from Boulevard Cinemas in Theatre Square. In keeping with its location, La Dolce Vita Wine Lounge shows movies on the wall behind the bar from the owner’s collection of classic DVDs. Owner Sahar Gharai started this business in 2007. The wine menu is organized into flights and a food menu of small plates is offered to accompany the wines. A reader, C.J. 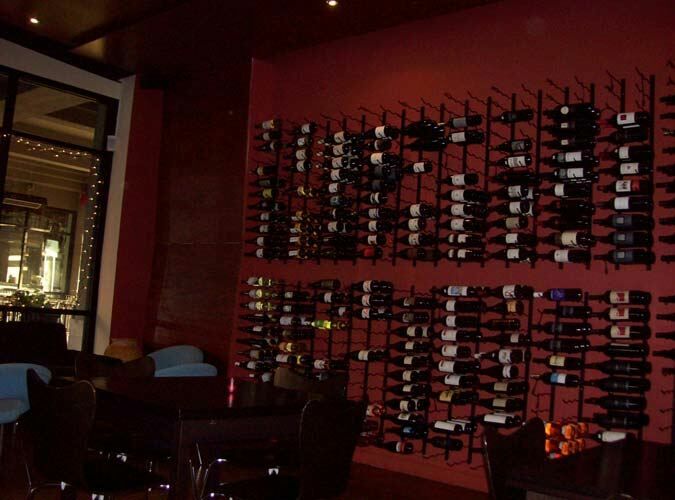 Newton, told my about this place and submitted the following photo of the Wine Wall at La Dolce Vita Wine Lounge. Outdoor seating is available as well. Highly recommended by several reviewers in tripadvisor. Visit www.ldvwine.com for hours and further information. Kegs and Growlers Gain Popularity in Oregon According to an article in Wines & Vines January 23, 2013), House Bill 2443 is aimed at allowing consumers to receive wine, beer and cider in “securely covered containers” no larger than 2 gallons at restaurants and grocery stores. This will allow wine drinkers to source wines when they live some distance from a winery, allowing them to refill growlers locally much like you would fill up your car with fuel. Currently, consumers can only fill containers at wineries. Refillable kegs have become popular with several wineries in Oregon since 2009. 7,498 Wineries Now in the U.S. A report from Wine Business Monthly (February 2013) proprietary database, part of the Review of The Industry issue, found that the total number of wineries in the U.S. is now 7,498, an increase of 102 wineries over last year (the smallest growth in the past four years). The number of wineries for California was 3,532, Washington 670, Oregon 543, and New York 306. Record Winegrape Crush in 2012 As I travel around, winemakers are stoked about the abundant harvest in 2013. Many report yields up 45% over last year, but beyond the generous yields, the quality is very high as well. Some are saying 2012 is the best ever vintage for the West Coast. The California Agricultural Statistic Service, CDFA, California Preliminary Grape Crush Report said that the 2012 crush totaled a record high 4,383,100 tons, up 13 percent from the 2011 crush and 1 percent larger than the previous record high 2005 crush. Chardonnay accounted for 16.8% of the crush, Cabernet Sauvignon 11.3%, Zinfandel 10.3%, Merlot 7.6%, French Colombard 7.1% and Pinot Noir 5.6%. A total of 247,303.1 tons of Pinot Noir were crushed compared to 170,450.1 tons in 2011. Weighted average degrees Brix for Pinot Noir was 24.5 for the state compared to 24.0 in 2011. Wholesale average base price for Pinot Noir was $2,688.02. Soledad in the Salinas Valley Looking for Wine Tourists The Los Angeles Times (February 17, 2013) reported that the farm town of Soledad is reaching out to tourists to stop and explore the area with a billboard that says, “Soledad: Feel the Momemtum.” The Pinnacles National Monument is located five miles east of Soledad in the Gavilan Mountains. 12 well-regarded Monterey County wineries sit within five miles of Soledad, providing the opportunity for wine tasting rous and The Pinnacles National Park tours. Calera Wine Company, located in Hollister, and somewhat isolated, is near Soledad and appealingly off the trodden parth. It has a tasting room open daily from 11:00 to 4:30. The oldest producing vineyard in Monterey County, Chalone Vineyard Estate, is located on the Gavilan Mountain Range but is not open to the public. Visit www.citeofsoledad.com or www.gatewaytopinnacles.com. Pinot In The Windy City Over 60 Willamette Valley wineries will converge on Chicago on March 7 to pour their wines. The event will take place at City Winery in the heart of downtown Chicago. 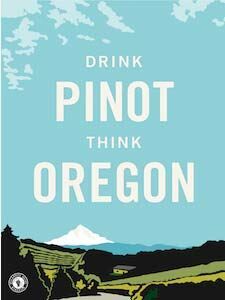 The Willamette Valley Wineries Association (WVWA) are promoting this trade show and are in the middle of a “Drink Pinot, Think Oregon,” campaign. Visit www.willamettewines.com for information and tickets. Pinot Noir Leaf Curl Discussed at Sonoma County Grape Day Event Wines & Vines online (February 21, 2013) reported that Pinot Leaf Curl, which was rampant in Sonoma County in the cool vintages of 2010 and 2011, has been found to be a nitrogen disorder leading to the vine producing a toxic compound known as putrescine. Severe cases can stunt shoots and decrease yields. The condition was much less evident in 2012. The most important cause appears to be the vineyard location and the minimum daily spring temperatures. Pill to Counteract Alcohol Daily Mail Online (February 18, 2013) detailed research at UCLA that has developed a cocktail of alcohol metabolizing enzymes that quickly reduced blood alcohol levels in inebriated mice and allowed them to sober up much quicker compared to mice that did not receive the enzyme treatment. The results are very preliminary and human trials are a ways off, but this could lead to an alcohol ‘antidote’ pill that would accelerate alcohol metabolism in the stomach and avoid drunkenness. The researchers are also developing a pill that destroys the substance that produces male pattern baldness.